On the left of the roundabout is a New World Supermarket. This is a good opportunity to purchase groceries etc. before continuing on. At the roundabout you have 2 choices. 1. 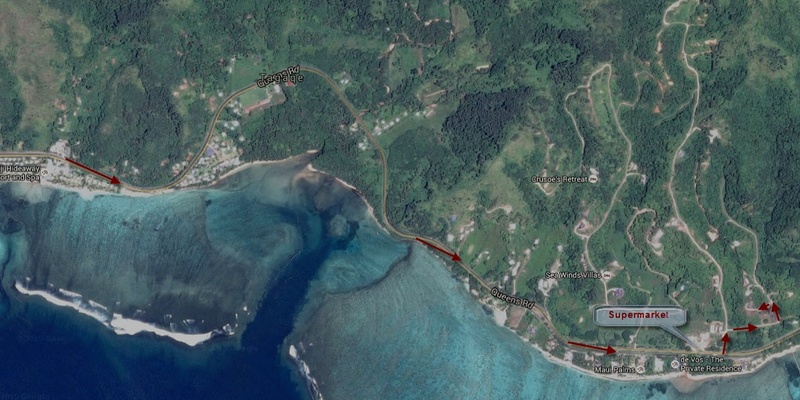 Take the 2nd exit toward Suva, this will bypass the busy and often congested town of Nadi, and is much quicker. 2. 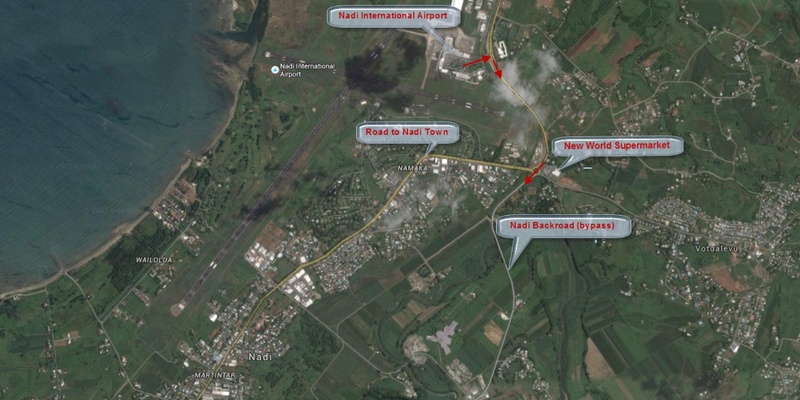 Take the 3rd exit if you wish to drive through Nadi town. Both choices will bring you to a prominent Hindu Temple. 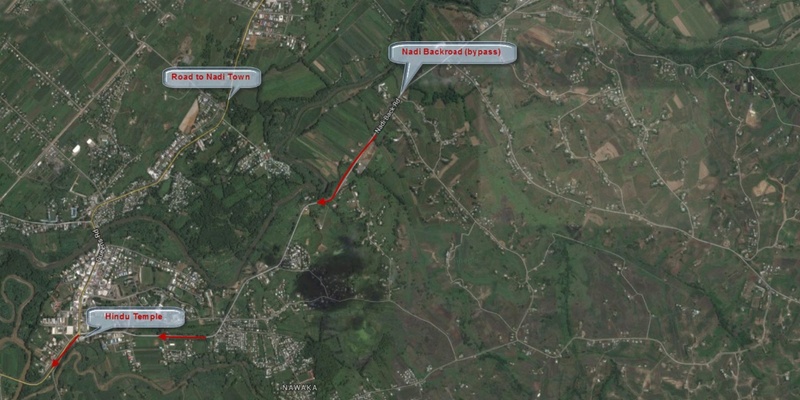 If you have bypassed Nadi by using the back road, continue on past the temple. If you have travelled through Nadi, when you see the temple ahead turn right and continue on. You are now on Queen’s Road. Continue on, after approx 1 hour & 5 minutes driving time from Nadi Airport (if you have used the Nadi bypass) you will have reached the town of Sigatoka. 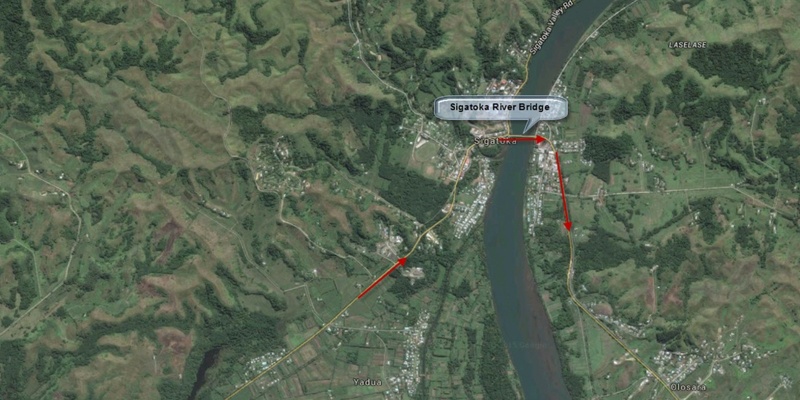 Sigatoka is also a great place the shop and has a fantastic market (depending the time you arrive) Cross over the Sigatoka River Bridge and continue along Queens Road. You will have approx 20 minutes to go. 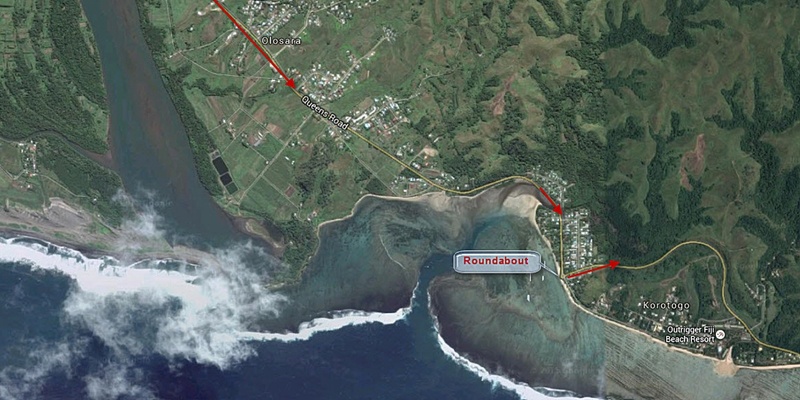 From Sigatoka to Maui Bay you will pass through several villages. At the end of the village of Korotogo, turn left at the roundabout, this will keep you on Queen’s Road and take you past the Outrigger Resort. Continue on travelling through the villages of Malavu, Vatukarasa, Namada. You will also drive past the Hideaway Resort before the last of the villages, Tagage. After passing through Tagage, you about 1 minute away from Maui Bay and Vakaviti Kalokalo. 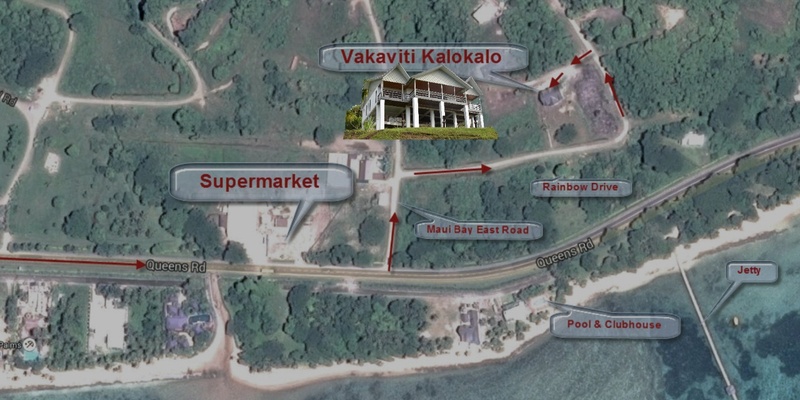 On the left hand side of Queen’s Road you will see a supermarket, slow down and 40 metres after you pass the supermarket turn left into Maui Bay East Road (the turnoff is easily missed). After 50 metres turn right into Rainbow Drive. Follow Rainbow Drive turning left up a fairly steep hill. 60 metres up the hill you will need to turn left the entrance sign Vakaviti Kalokalo Approx 25 metre along this road on the left is the driveway entrance to Vakaviti Kalokalo. You can drive down and park in the carport below the house. To exit simply reverse from the car port and drive forward.